We understand that you have a choice of cosmetic dentist in the West Pasco area, and we appreciate your consideration. 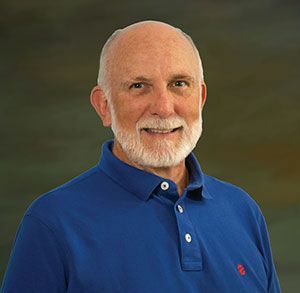 At Dr. Donald I. Cadle, Jr. DMD, we can assure you that you’ll feel confident in our ability to meet all of your expectations. We work closely with each patient in coordinating treatment plans that are specific to your individual dental needs and goals. 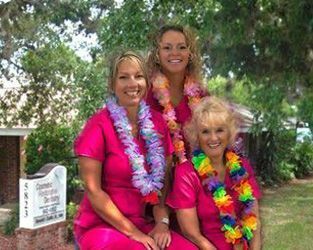 Our caring dental staff looks forward to serving your needs at our New Port Richey, FL, office, please contact us today to schedule an appointment. Ashley is our newest team member. She is born and raised in the Tama Bay area. After traveling with her husband - Thank you Nik for your service :0) They have decided to make New Port Richey their home. Happy to raise their son and daughter near family. Terri has been in the dental field since 1985. She is a native Floridian who moved to New Port Richey in 1978 from Jupiter, Florida. She graduated from Hudson High School and married her high school sweetheart. They have been married for 29 years. They have 2 sons, Joshua and Jacob and 1 awesome granddaughter - Rylan. Terri enjoys boating and SHOPPING! Originally from Chicago, Valerie has been Dr. Cadle's patient coordinator for over 25 years! She values the close relationship that she has with her co-workers and patients which makes work a family type atmosphere. She shares her passion of learning by attending continuing education classes with her team. Valerie is married and has 3 beautiful daughters, and she is a Grammie to Isabella, Gianna and Sophia and one grandson, Damien. On her time off she enjoys boating and spending time with her family! A native of Massachusetts, Barbara graduated from the University of Rhode Island with a degree in dental hygiene. There she met her husband Roger and together they have raised 2 sons, Michael (Warwick, RI) and Matthew (Portland, Me). While living in Rhode Island, Barbara worked for over 20 years in a busy 3 dentist practice in Providence. During that time she served as President of the RI Dental Hygienists Association and continued to maintain her skills with numerous continuing education courses. A relative newcomer to Florida, Barbara has recently joined our practice and adds a new dimension with her New England accent and love of the Patriots!